Ted and his gang have my deepest respect! I would gladly be used as a tool in their advertising anytime! "I was very impressed with the evaluation done at my home and the care and attention taken. Although no work was needed, I would not hesitate to call Foundation Repair of Western Colorado in the future! I feel confident that should a problem arise, the company could solve it completely!" "Ted was very thorough -- appreciated him breaking down his proposal into segments, telling us most to least importance." 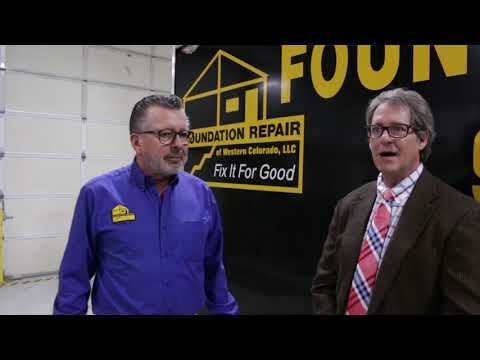 Ted is the manager and founder of Foundation Repair of Western Colorado. Ted started Foundation Repair in 2005 after spending years as a builder and land developer in Colorado. Our Mission is: "To be the best in our industry. To WOW our customers every step of the way." Teds greatest joy comes from seeing the smiles on the customer's face after we have repaired their foundation and they know their home's value has returned. Ted is the proud father of 2 grown daughters that currently live in Australia. He loves traveling in the U.S. and abroad.